Ever have one of those weekends that wrecks the house? I mean one of those all-out shindigs, that need a Hazmat team to clean up. Well, before you pour all your strongest chemicals in a bucket and throw it at the mess, make sure you check this list of cleaning products that you NEVER, EVER want to mix. “People often think that if one product works, mixing it with another one will make it even better,” says Carolyn Forte, director of the Good Housekeeping Institute Cleaning Lab. Vinegar is all natural and a fantastic cleaner. At a buck or two a bottle, it is cost effective and earth-friendly. Well, what many people don’t realize is that this friend does NOT play well with others. I know these guys might hang out together under the sink, but mixing them will lead to some explosive and toxic results. Never mix vinegar with baking soda, hydrogen peroxide or rubbing alcohol. There is something about the smell of bleach that just tells me all is right in the world or at least that all the evil germs have been crushed, for the moment at least. But, this strong chemical needs a lot more care than just gloves and a cracked window. It’s pretty easy to pour some bleach in the toilet and then without thinking add something “special” just for the porcelain throne. BEWARE! Ammonia likes to hide in most cleaning products and when these two get together, it’s always a blowout, and not in a good way. Let’s say you are in the middle of using a drain cleaner and realize you only have half in one bottle and a half in another one. If they are the exact same brand, that’s okay BUT watch out if they are not. 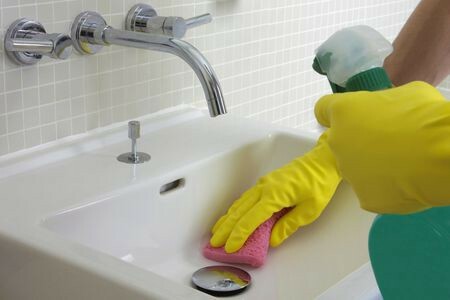 Mixing drain cleaners can actually be lethal because many use different ingredients with explosive results. Natural does NOT always mean safe, so before you mix double check it’s safe. More of a good thing is NOT actually a good thing if the brand is different don’t mix them together. Always, make sure to have cross-ventilation to avoid inhaling toxic chemicals. Life Hacks Ideas: 12 GENIUS LIFE HACKS!